In this fast-paced world of Blogging (and by that I mean the 3 weeks behind we are generally here at LTT), I sometimes forget that in the “regular” world stuff is prepped MONTHS in advance. For example: one of my friends is a designer at Anthropologie and she is currently wrapping up styles for THE FALL OF 2013. And have you ever noticed that in magazines sometimes you’ll read “At press time Mr. Smith was working for blah blah” AT PRESS TIME. Meaning they are prepping for the chance that when the mag releases the news is old & no longer true. 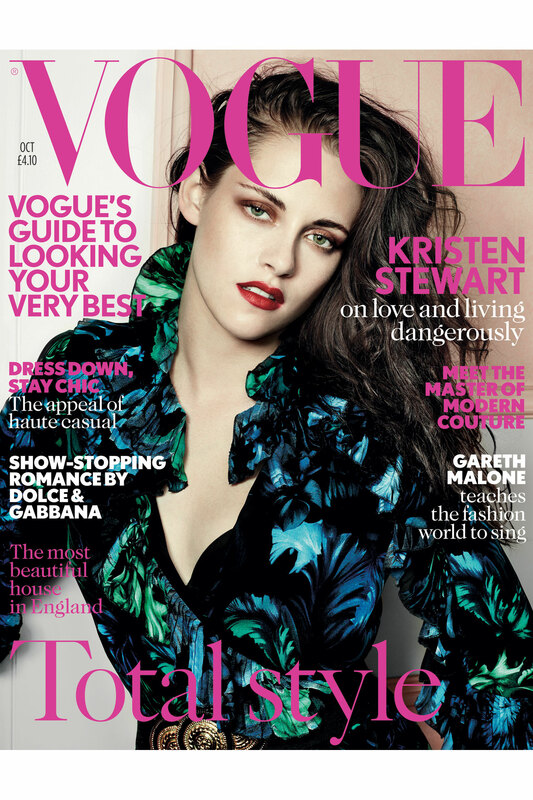 Enter this month’s British Vogue with YOU on the cover with the steamy title “KRISTEN STEWART: ON LOVE AND LIVING DANGEROUSLY.” FINALLY! You’re speaking out! You’re explaining YOUR side of the story! Orrrrrr..since this is an October issue this interview was most likely conducted last year around Christmastime when you were feeling full of love & danger as you & Rob had a contest to see who could get the bear skin love-making rug closer to the living room fire without catching your hair on fire… we actually get nothing steamy & juicy at all except a tired quote about how you don’t know how to be famous. BORRRRRRINGGG! And THAT is all I, unfortuantely, learned from Kristen Stewart in British Vogue. What do you think? You gonna pick up British Vogue? Can we get that in the US anyway? 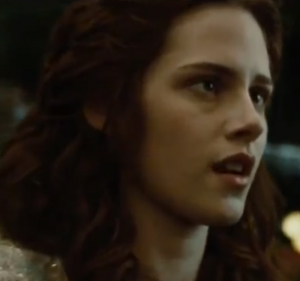 GUYS– New Twilight trailer TONIGHT at the VMAs! Watch the VMA:s for me, please, I’ll be out of town and out of reach *big pout*. How many copies shall I pick up tomorrow morn? I haven’t read this interview or any of her interviews for a long time, because they all seem to say the same thing. She doesn’t want to be a celebrity, she doesn’t understand why people are so interested in her and that everything she does is her own business and everyone should just leave her alone. (Do I have this right?) Kristen, there are thousands of jobs out there where people will care less what you do everyday. Being a movie star isn’t one of them! I am sure the job description for a movie star states that you will have to be out in public and that you will more than likely be admired by thousands of fans. So I would like to suggest that maybe instead of acting she could become a teacher, a sales clerk or a carpenter. If she absolutely has to work in the film industry, then become a someone who works behind the scenes. When is the last time you saw an article in US Weekly about what George the sound guy was up to? If she was any of these things she wouldn’t have to worry about anyone giving a hoot what she is up to. Precisely! The only crew people I care about are my husband and all his crew friends. Oh, and Peter Lambert. 🙂 And the director for Game of Thrones because he is SMOKING HOT. But, if she had my job, then no one would know who the heck she was and no one would try to stalk her (god, hopefully. I don’t need any stalkers.) She’d get excited to take calls from Canadian people in the same industry because it’s an international call (hehe), and she’d be done working at 6pm each day, unless of course it’s a late night to meet deadline. Life would be waaaaaaaaaaaay easier. But…. her payroll would be Waaaaaaaaaaaaaaaay lower. All in all, your comment has reminded me of how Steve Jones sounded talking to Rob in that T4 interview where he said, “Freaking movie star”. Which has immensely improved my day. Mmmmmm Steve Jones. Or, if she MUST be an actor because she actually loves the craft, why not switch to stage plays? No one cares about theater actors. And if that doesn’t work to throw the attention off, well, she might just cause a worldwide resurgence of the theater industry. Win-win! No. Don’t like that idea. As if I can get to NYC to see a play. Maybe when I’m old and retired. And grumpy and crusty. I’ll barely even be able to make it up the stairs. They better have that theater wheelchair accessible by the time I’m an old fart. What? Kristen who? She still does plays? Why am I here? I’m missing Jerry Springer. I am excited to see the new Trailer…. and for the LTT Break Down, VF Style. Seriously. She said that he, who we are suppose to presume is Rob, loves to lick her armpits…TMI? 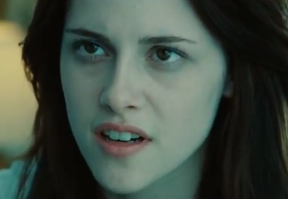 Kristen revealing details of her sexual habits is not TMI.. for me. It’s TLI. Like, tell me more Kristen… then what happens?